Dr. Bertrand Mérot is the Founder & CEO of Bio-Sourcing since June 2011. From 2009-2011 he was a Board Director of GTC, the world leader in animal transgenesis based in Boston, which has been the first company to launch a FDA and EMA approved drug produced with animal transgenesis. From 2007-2011, Dr. Mérot was Senior Vice-President and COO of LFB Biotechnologies, the largest French Biotechnology company. At the same period, he was also Board Member of France Biotech. Prior to this, Dr. Mérot was Deputy Chief Executive Officer of Oncodesign and contributed to its international development and key strategic alliances between 2005-2007. In 1998, Dr. Mérot founded Meristem Therapeutics, a company that became the world leader in the production of therapeutic proteins in plants and served as Chairman and CEO from 1998- 2005. Prior to 1998, Dr. Mérot held several managerial positions at leading pharmaceutical and biotechnology companies as Chief Scientific Officer, Director of Biotechnology and General Manager. 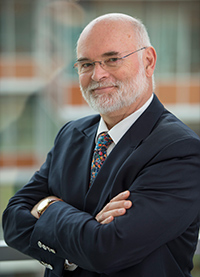 Dr Philippe Janssens de Varebeke is Chairman of the Board of Bio-Sourcing since May 2014. Dr Janssens de Varebeke is also the Life Sciences specialist of foreign investment projects of AWEX since 2006 and the Chairman of ImmunXperts since 2010. Dr Janssens de Varebeke is also currently Non Executive Board Director of several life sciences companies such as OncoDNA, Delphi Genetics, TIE Chapter Brussels and Les Editions de l’Octogone. Prior to this time, Dr Janssens de Varebeke was a venture capitalist for several funds: EuroVentures Benelux, Sopartec and Vives and a Board member of successful life sciences companies including Eurogentec, IBt, Medgenix, Eurogenetics, IBA, Neurotech, ISW, Alterface, eMONTAIGNE, MIC6 and Rhein Biotech. During his carreer, Dr Janssens de Varebeke was also an Advisory Board Member of Qiagen, Biora, AMR, Conforma, GenPharm, Pharming, Orgenics, Quadrant and Eurotech capital. Prior to this, Dr Janssens de Varebeke worked for several departments of Searle (now Pfizer) for more than 12 years. 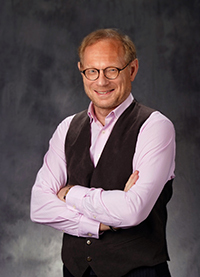 Author of many publications, patents and books including the reference book “”Biotech Opportunities in Europe: Establishing and Operating a health Care Biotech Venture”, Dr Janssens de Varebeke holds a PhD in Biochemistry & MBA – UCL. Started his career at the Catholic University of Louvain.